explain everything | Mrs. Anton's Class! Our Alphabet Book! 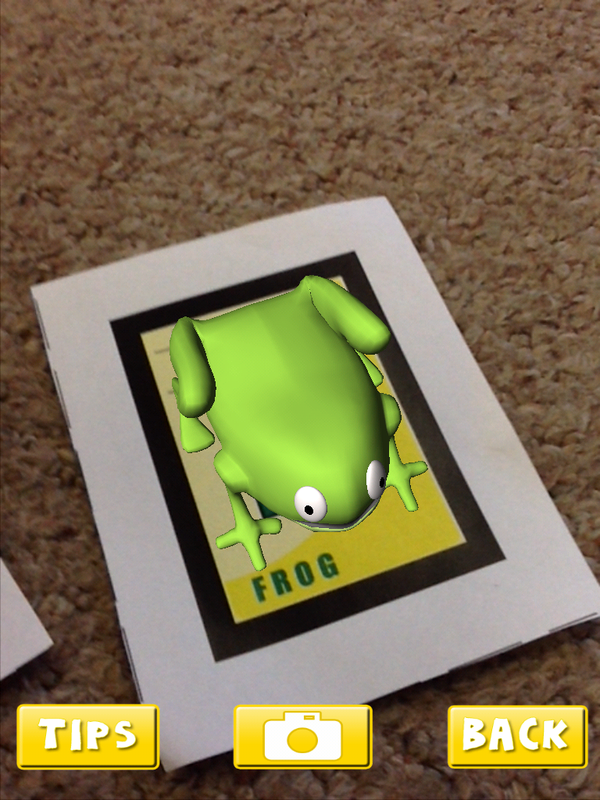 Augmented Reality Style! 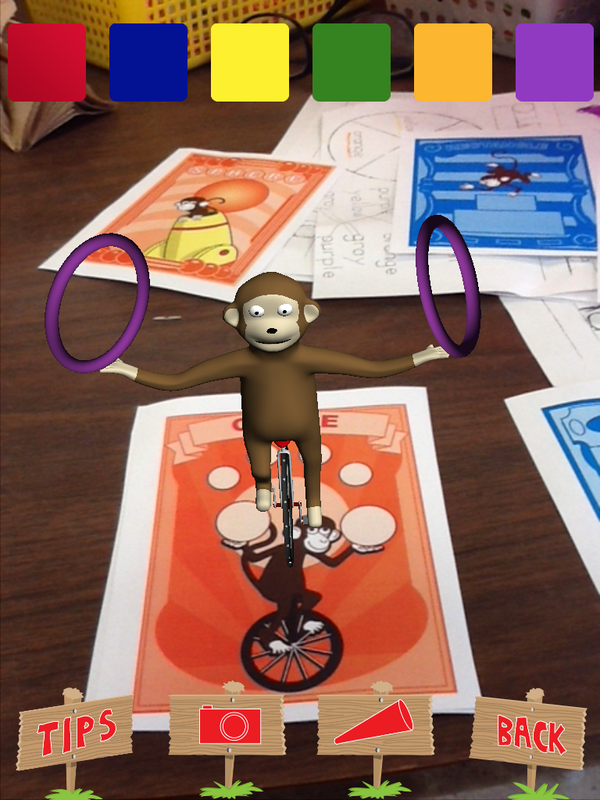 This is the alphabet book that we created this year using augmented reality! We think it is pretty cool! 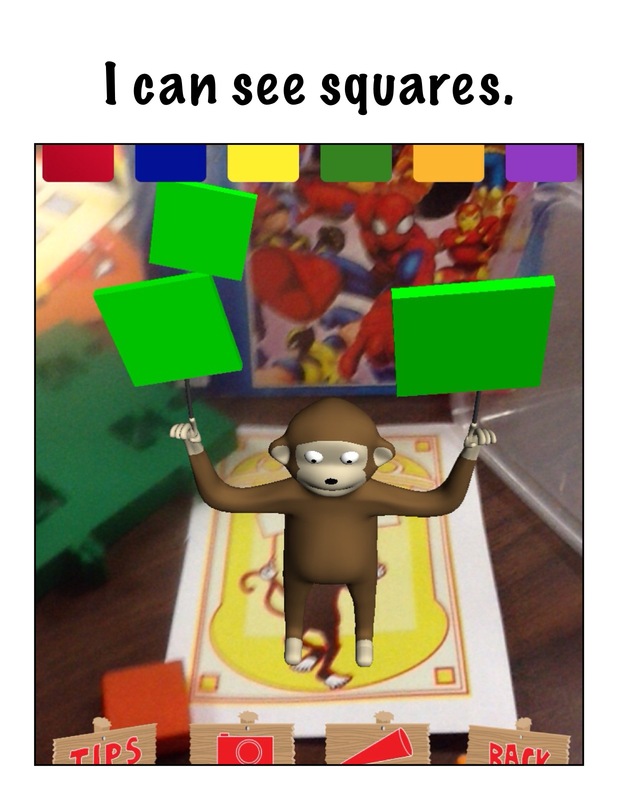 We used a combination of apps to create this project. 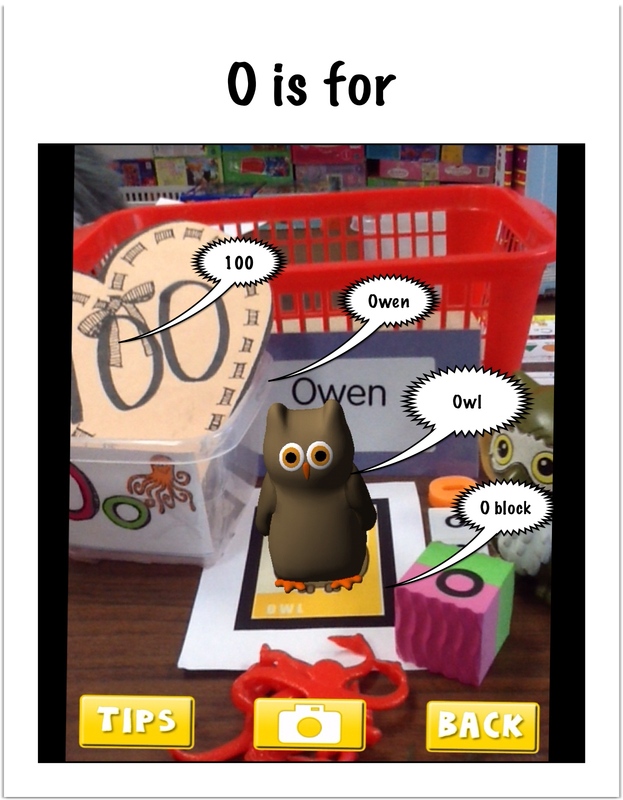 The children have been using the app AR Alphabet Flashcards this year a lot! They love trying to hold the augmented images that appear when you hold the iPad over the trigger images. 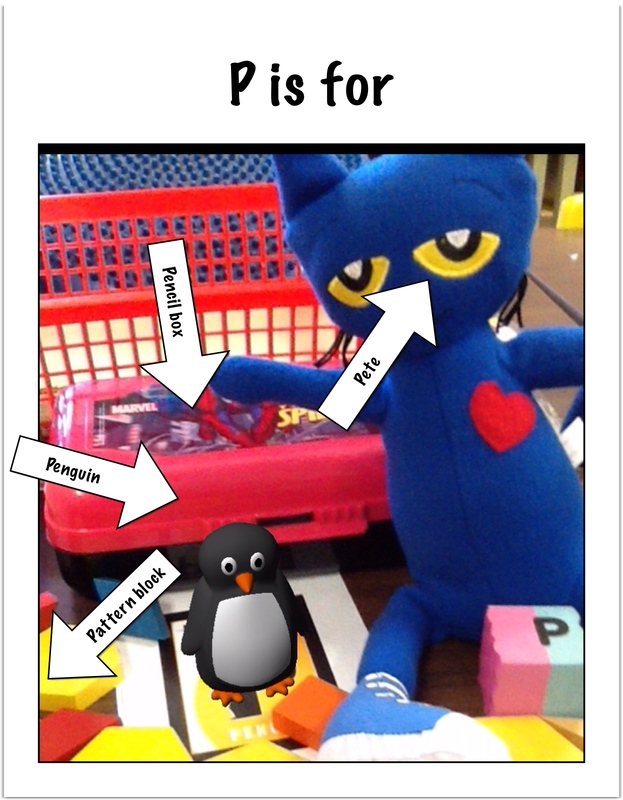 We created the pictures for our pages in our book by having each student pick a letter. Then they searched the classroom to find other real objects that began with the letter they had chosen. 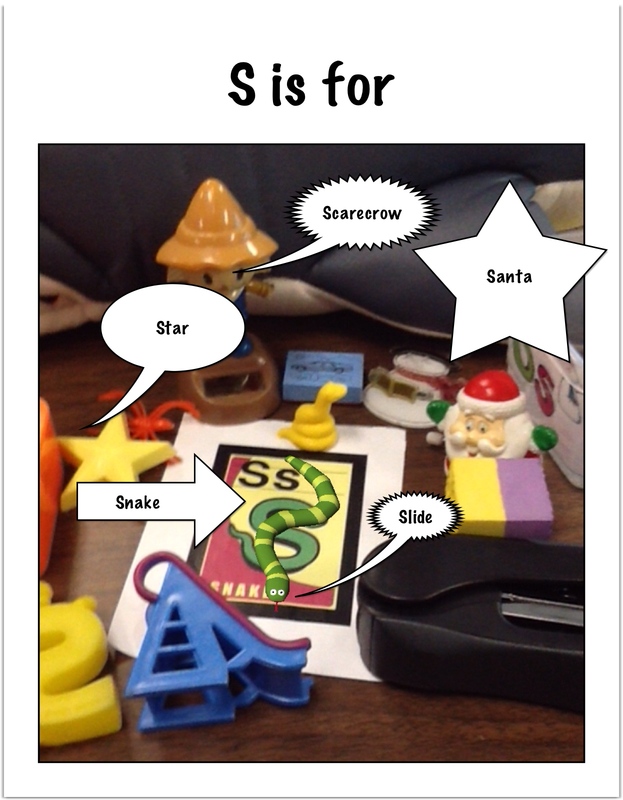 We grouped the letters together around the trigger image picture. Then we opened up the app and took a picture of our collections with the trigger imaged engaged. 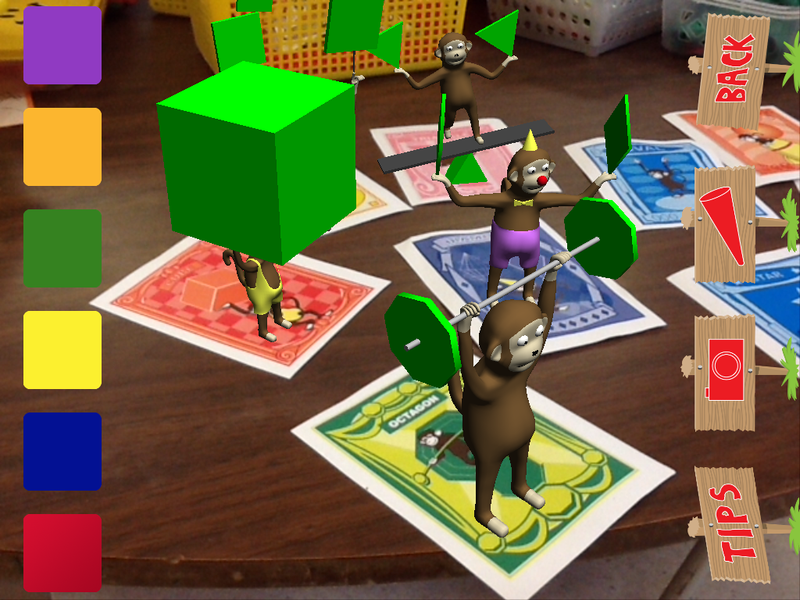 The children then imported the picture they took into the app Strip Designer from the camera roll. We used a simple frame to title each page. They then used the balloon option in this app to label the objects in the picture. 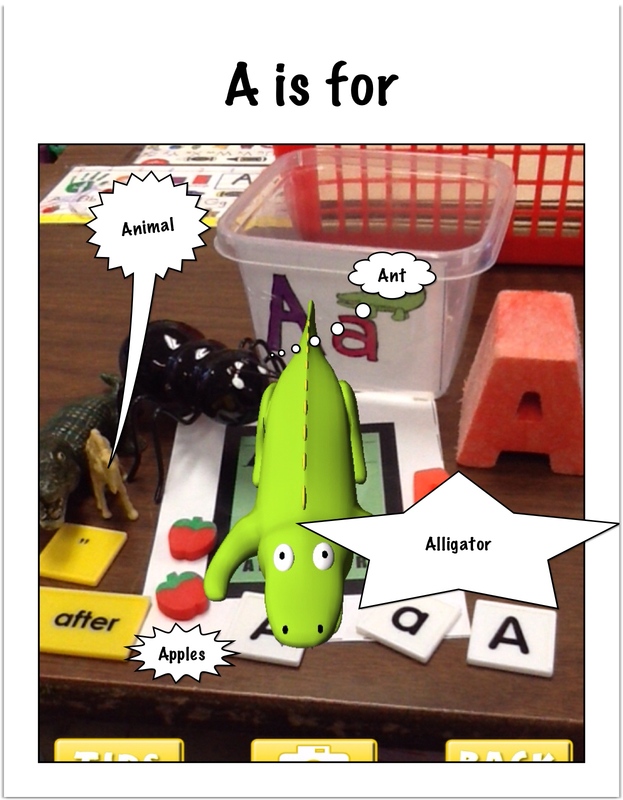 I imported all the pictures into Explain Everything in alphabetical order. Then we had Owen, Celia, and Elsa narrate the story! We then saved it to the camera roll and I uploaded it to our Youtube channel to share with the world! 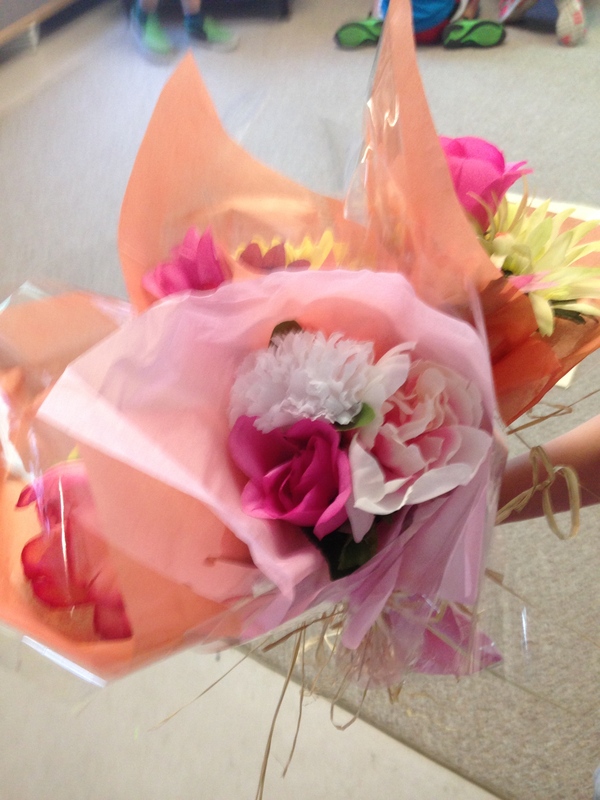 Hopefully, everyone had a great Mother’s Day! The children had a great time making their special project for you! Some of them were very comfortable making a video and some were a bit shy but I think they all turned out perfect! 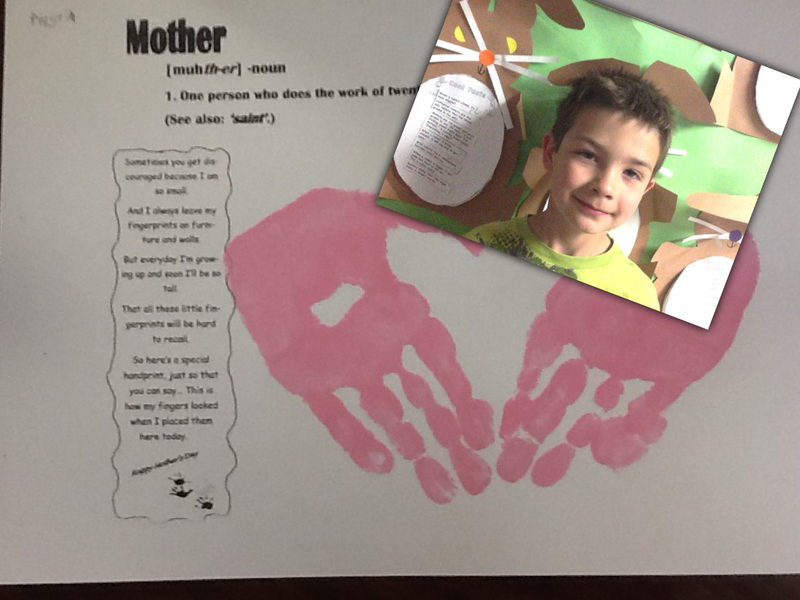 Thank you for your help sending me an email so I could forward their special Mother’s Day cards to you! It made the whole process a bit simpler. 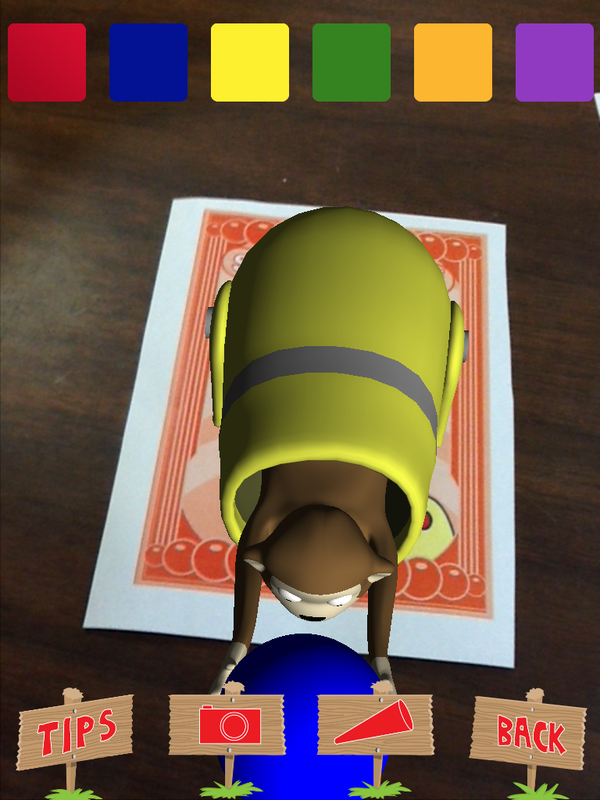 We use the app Explain Everything to make the cards. I took a picture of each of their cards that we made using their hand prints. Then I superimposed a video onto the page and recorded their comments. Some of them need a little prompting but I think they were pretty happy with their efforts! Then we saved them to the camera roll as a movie. I copied them off the iPads and saved them onto my computer at home. And sent them to you! 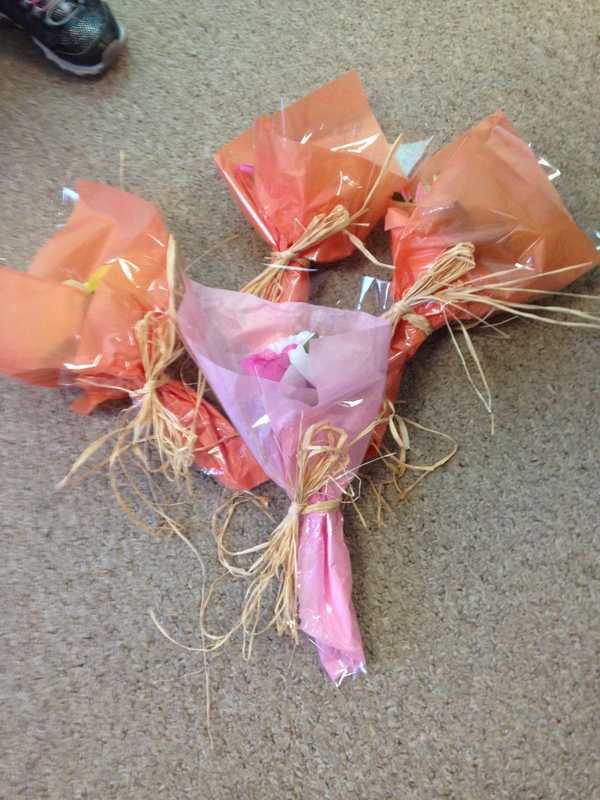 We hope you enjoyed your Mother’s Day flower pen bouquets as much as we enjoyed making them! When I explained that putting the florist’s tape on the pen was like wrapping a hockey stick with hockey tape the boys really got it! 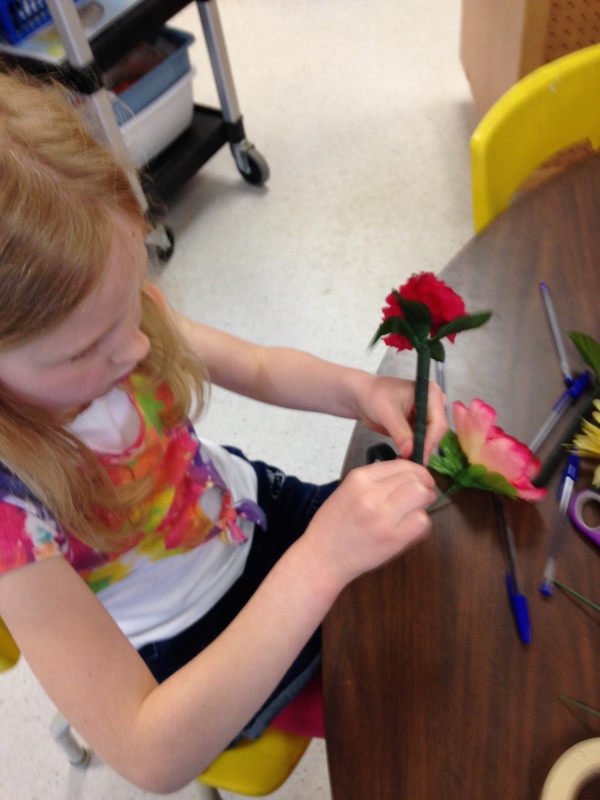 I wish you could have listened to their comments as they were making the flower pens! Lots of nice comments about their Moms. 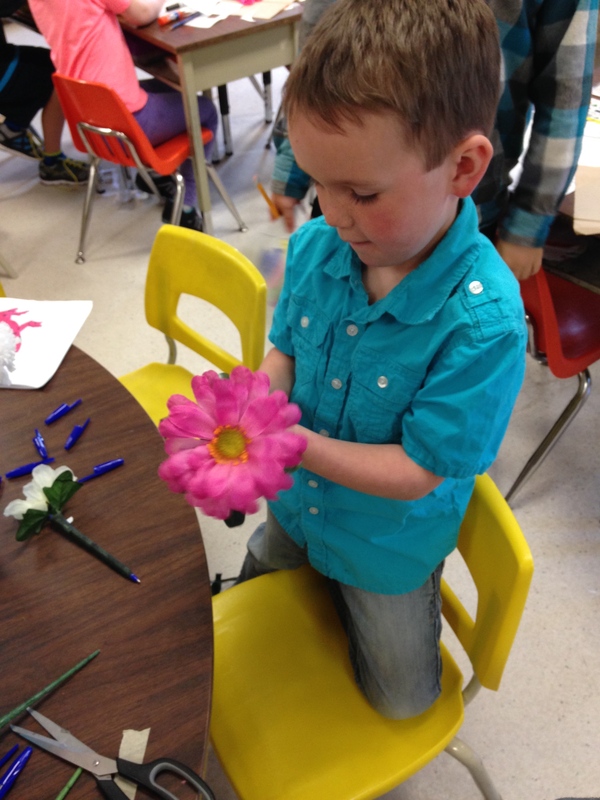 It was fun to hear about why their Mom might like a particular color or flower! Hope you all had a Happy Mom’s Day! Fun with the Snowman Project! 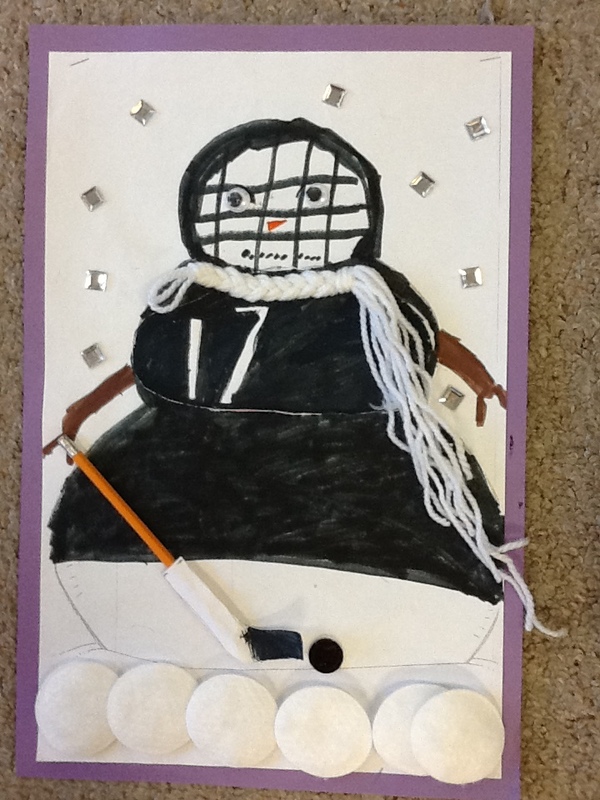 We have been working hard creating our Snowman books on the iPad! We have the first few finished projects to share with you! We hope you enjoy reading and viewing them as much as we have enjoyed creating them! 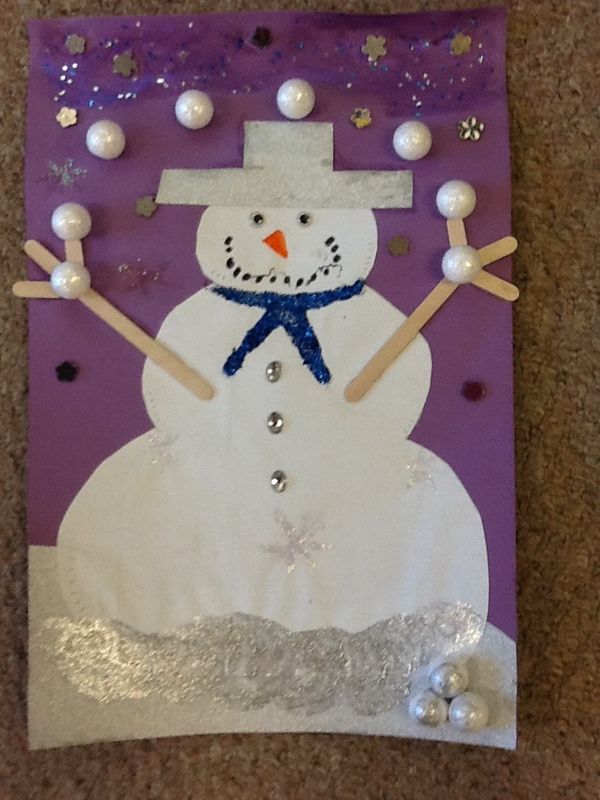 The initial sparks for the projects are the amazing snowmen that were created at home by the students with their families! They are fabulous! To set the stage, we read the story The Snowman by Lois Elbert. 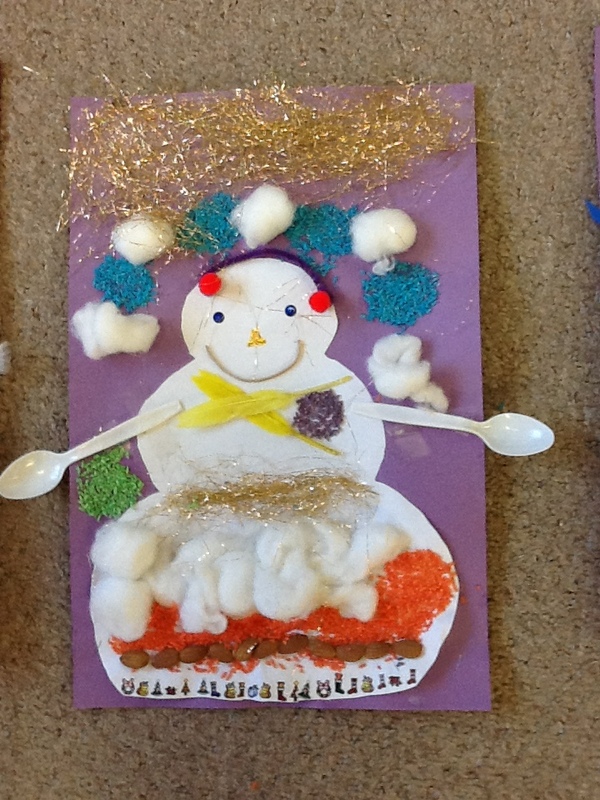 It is a great story about how a family saves up a variety of materials to decorate their snowmen. 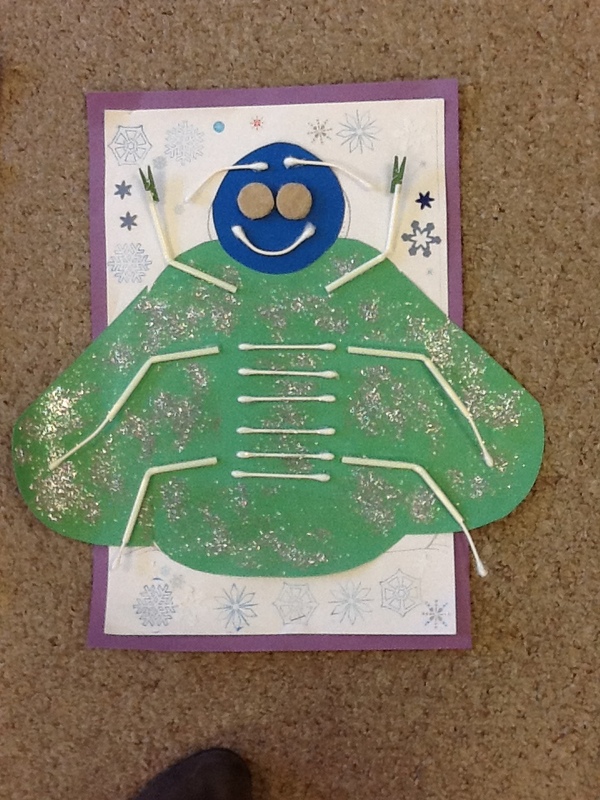 I sent home the template with the children and several weeks later these wonderful snowmen returned to our classroom! Then we started to compile a book on the iPads about the snowmen. The first page of the book contains a photograph taken on the iPad of their snowmen. 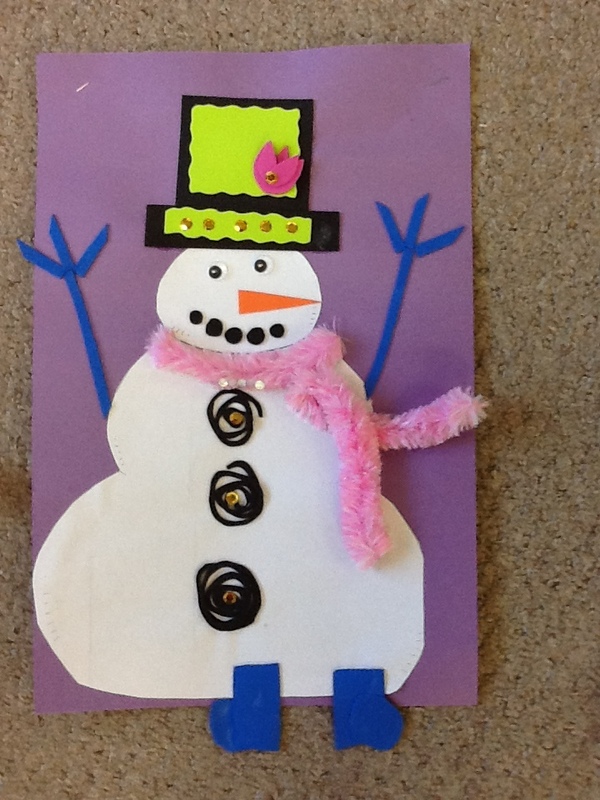 The children opened a project on the app Explain Everything and imported the picture of their snowman from the camera roll. Then they added the title and their name using the text feature. The children created an additional four pages to their books. On one page. they had to draw a snowman and then label the snowman using the text feature. 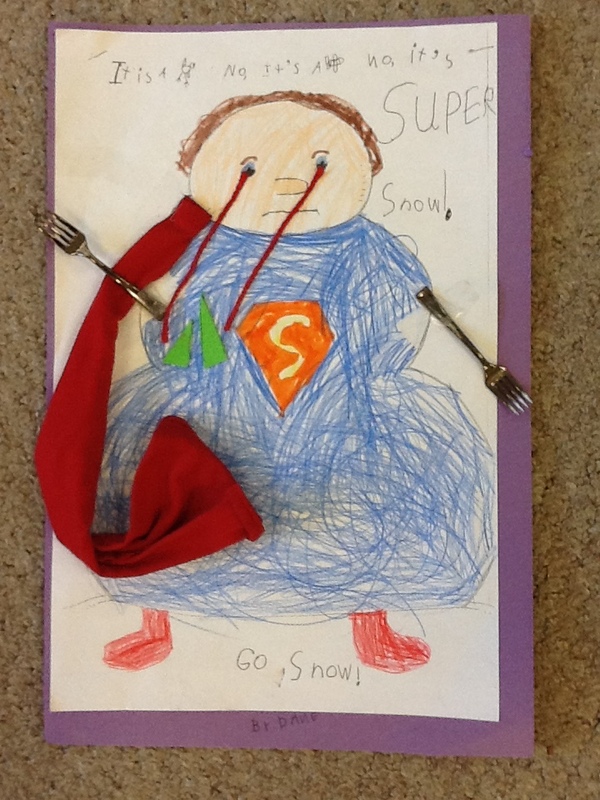 We made one page about what they thought their snowman might like to eat. They had to draw the plate with the items on the plate and label it once again. The new feature to our snowmen books this year is on the fourth page! It is a new favorite of mine! The Explain Everything app allows you to record every stroke you make as you draw it and narrate your drawing as you build your picture. I thought it would be interesting to have the children describe or teach how to build a snowman. I think you will really enjoy them. I know I can’t watch them without smiling! The last page is, of course, about the author! 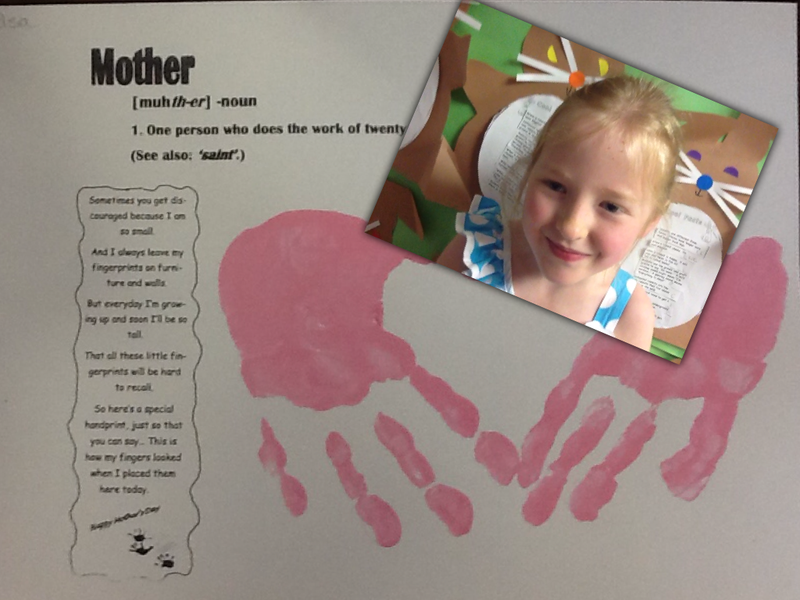 The children had to draw a picture of themselves and then add a few sentences about themselves. The final step was to create a script for the first page describing the snowman. The children had to complete a few sentences describing their snowman and their favorite parts of the project! 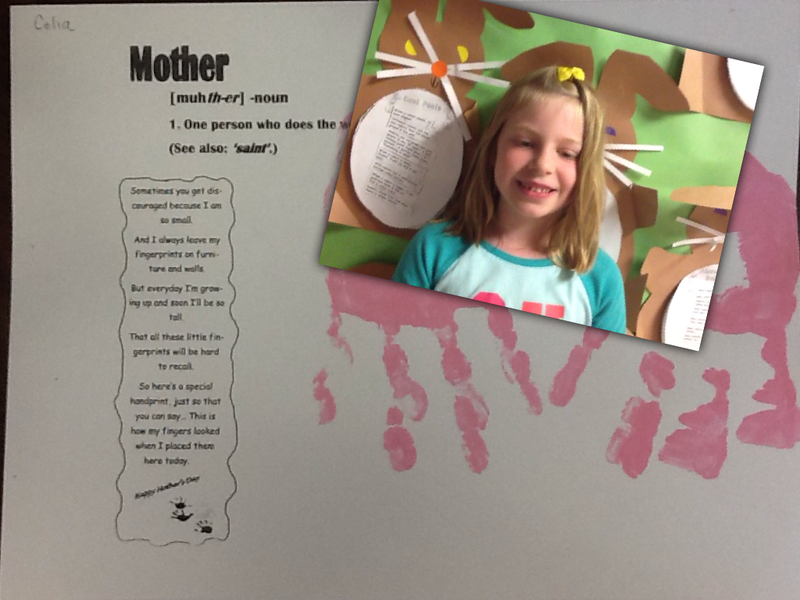 Then we had to have the children record their script on the first page of their book as well as adding a comment or reading their work on each of the pages of their book. 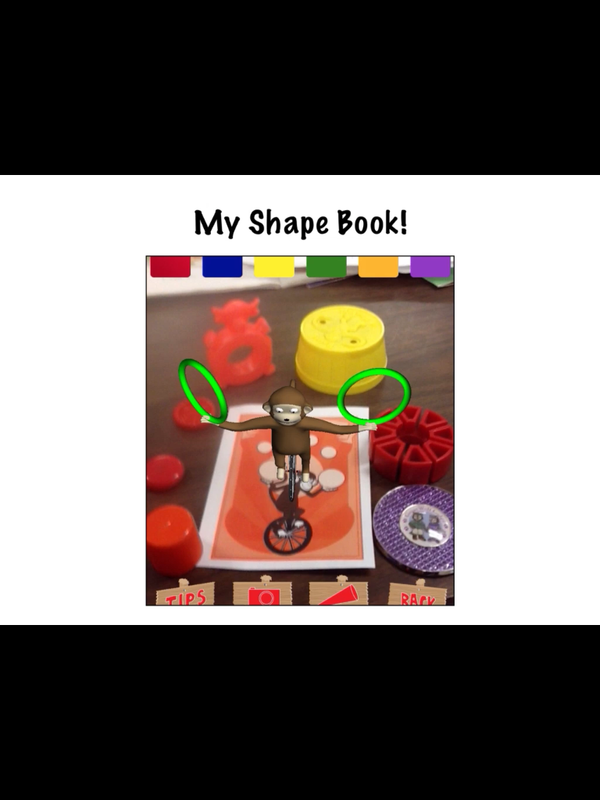 Then we saved the book to the camera roll as a video within the Explain Everything app. Love, love, love this app! Then I was able to upload the video on the camera roll to Youtube and import it into the blog so that you can see it. I think I will also create a QR code for the video when we have completed them. You know you have a group of students who love technology when they ask you to turn everything into a QR code!